A fresh coat of paint can completely transform the look of a room! It is amazing what a fresh coat of paint can do! It can completely alter the look and feel of a room. Nowadays, you can get virtually any paint color your heart desires. You also have several options when it comes to paint type as well (semi-gloss, flat, matte, etc.). It is essential to keep in mind that a paint job is not going to last forever! After several years, things like dirt, debris, water damage and handprints are going to take a toll on the walls of a room. A fresh coat of paint can do wonders in revitalizing practically any interior living space! Here are a few ways a fresh coat of paint can impact the walls of a room! If you are looking to transform a room in your house, a fresh coat of paint may be your best option. For example, maybe you need to convert your guest bedroom into a nursery because you have a baby on the way. It may just be that you are tired of the plain white walls in your home and want to liven it up by adding a splash of color. A room is going to take on an entirely different appearance if you change up the color. Whatever the case may be, a fresh coat of paint is one of the best ways to change the theme and complexity of a room. There are a few tricks that can be used to make a room appear to be bigger. Commercial businesses will sometimes utilize mirrors in their lobbies. 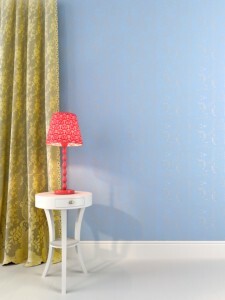 Another great option is to repaint the walls of the room! Believe it or not, marks on walls can make a room appear a lot smaller than its actual size; however, a fresh coat of paint will provide the room with a more open appearance.